Avoid spending hours trawling Netflix for the perfect film to watch, and take the recommendation of one of the world's most experienced film critics. Are you tired of trawling through movies you don't recognise on Netflix? Sick of reading short film descriptions that sound boring? Don't know what to watch next? 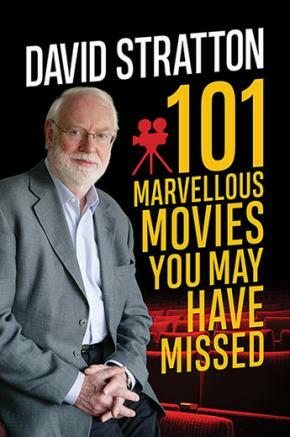 Let leading film critic David Stratton introduce you to 101 movies that you probably haven't heard of, and tell you why they are worth seeing. David Stratton's selection of overlooked gems includes movies from such well-known directors as David Lynch, Ang Lee and Sidney Lumet. They star popular actors such as Colin Firth, Meryl Streep, Sean Connery, Cate Blanchett, Clint Eastwood, Reese Witherspoon, Paul Newman, Emma Thompson and Jake Gyllenhaal. They include comedies, thrillers, westerns, musicals and romances, and were produced from the 1980s through to the past few years. A perfect gift for anyone who relishes a cosy night at home with a good movie.